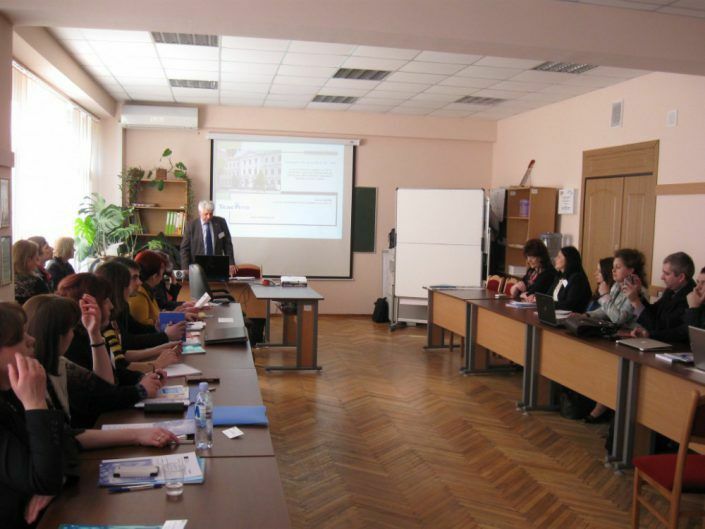 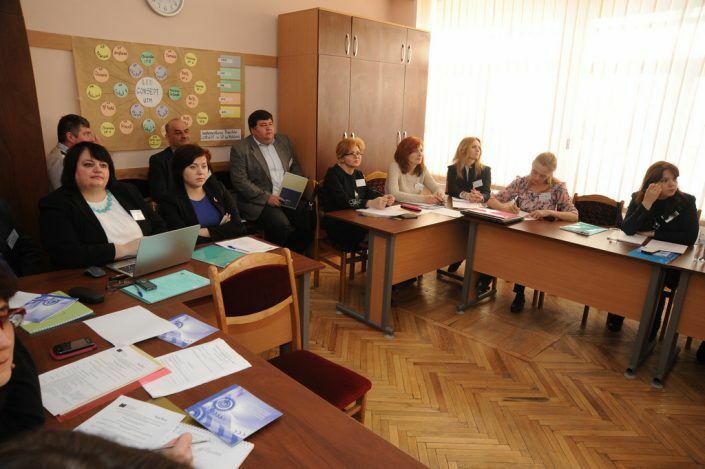 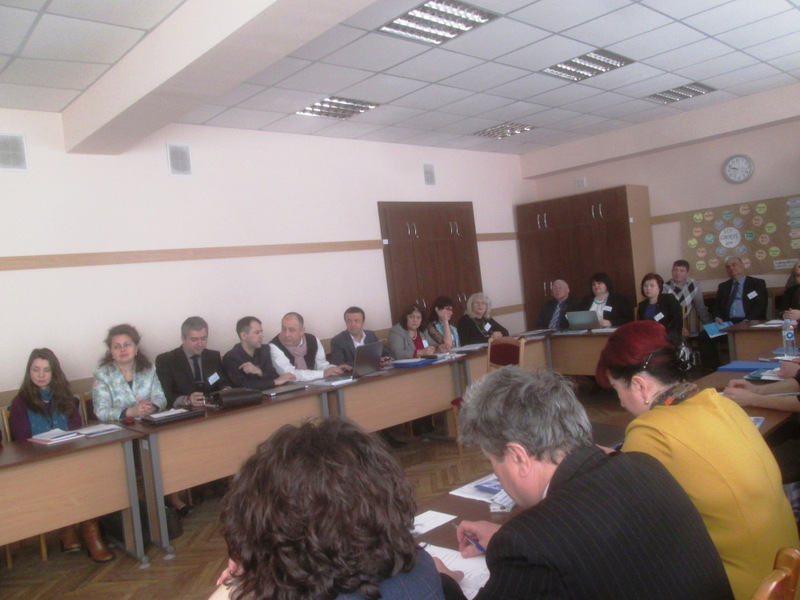 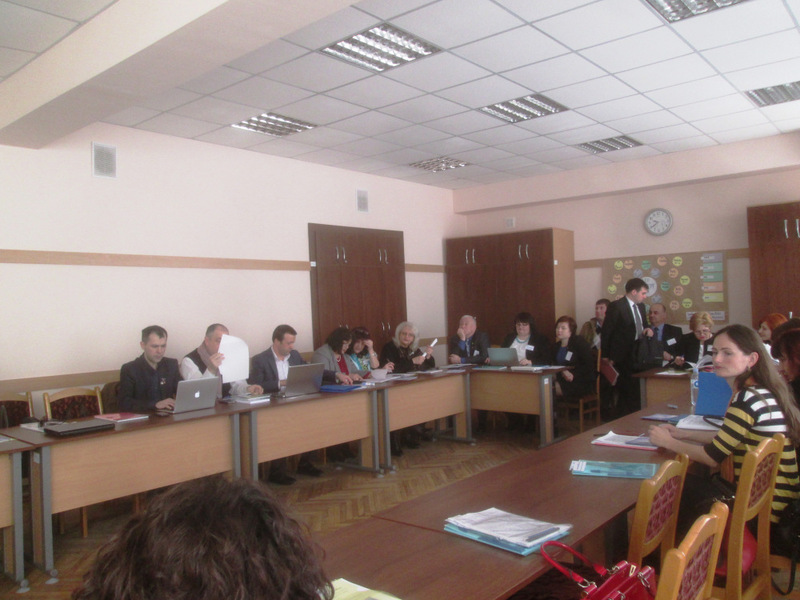 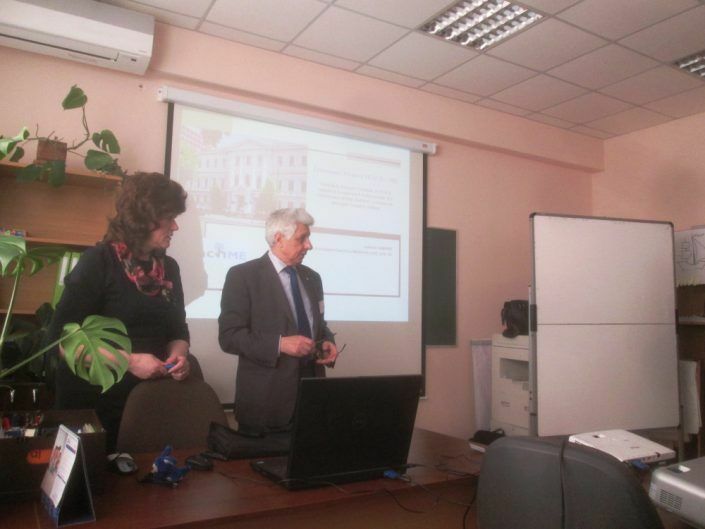 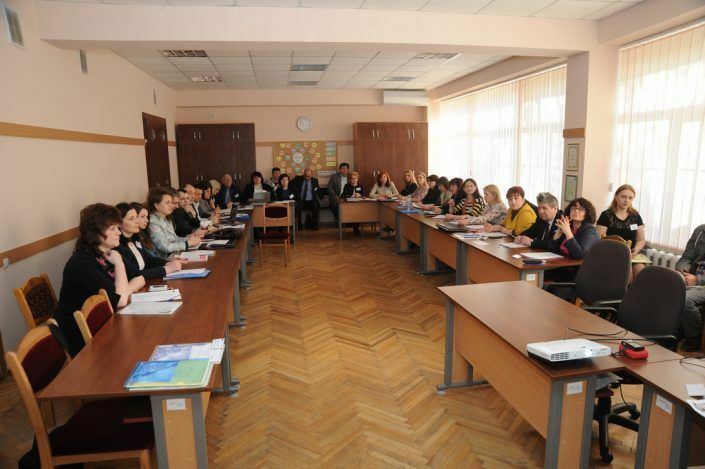 On March 30, 2016, at the Technical University of Moldova, a National Seminar was organized within the framework of the project to present experiences, realities, problems, prospects and projected outcomes of the system of training teachers in Moldova. 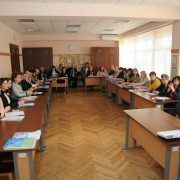 A broad discussion was to analyze best practices with regard to continuing education training in higher education institutions in Moldova and Europe, recent trends in innovative pedagogy, e-Learning, the benefits and risks of remote, technology, innovative pedagogy, methodological bases E-teaching and others. 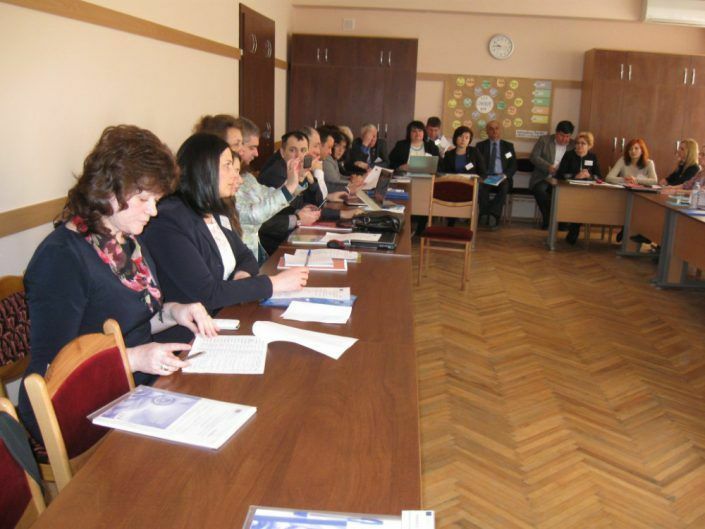 Agenda of the seminar included speeches from Mrs. Larisa Bugaian, vice-rector of the Technical University of Moldova, Mrs. Tatiana Gherstega, Directorate for Higher Education and Science Development, Ministry of Education, Mrs. Cristina Herman, Coordinator National ERASMUS + Office in Moldova, Mrs. Valentina Priţcan , vive-rector of the State University “A. 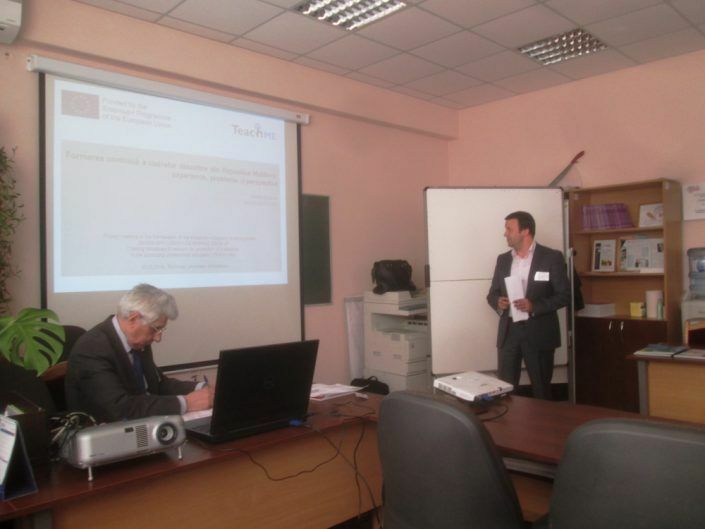 Russo “, Mr Andrei Braicov, Tiraspol State University and national coordinator of the project, and Mr. Valentin Amariei, vice-rector for continuing education at the Technical University of Moldova and host of the event. – innovative pedagogical approaches, including those based on using information and communication technologies (speakers: Irina Todos, Maria Vasiliev). 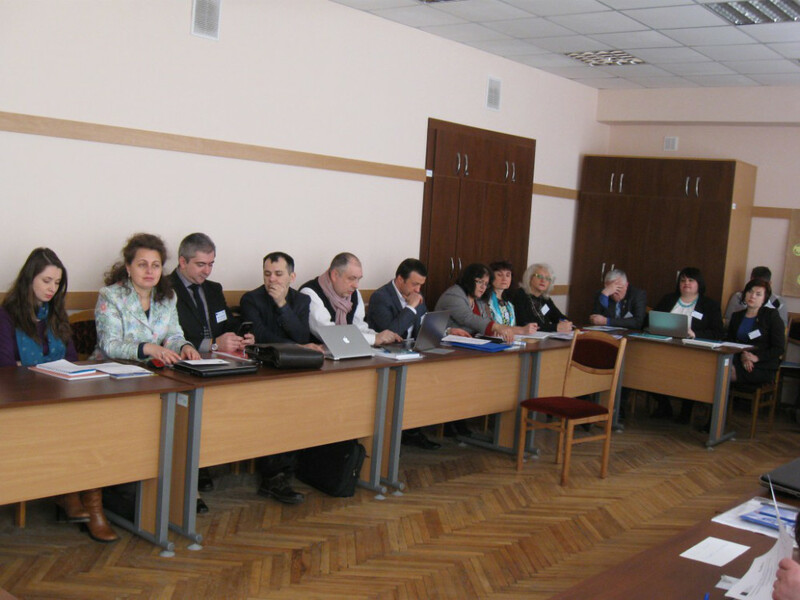 The event contributed to the exchange of experience between project participants and facilitates the transfer of knowledge to devise a complex network of collaboration between Moldovan partners. 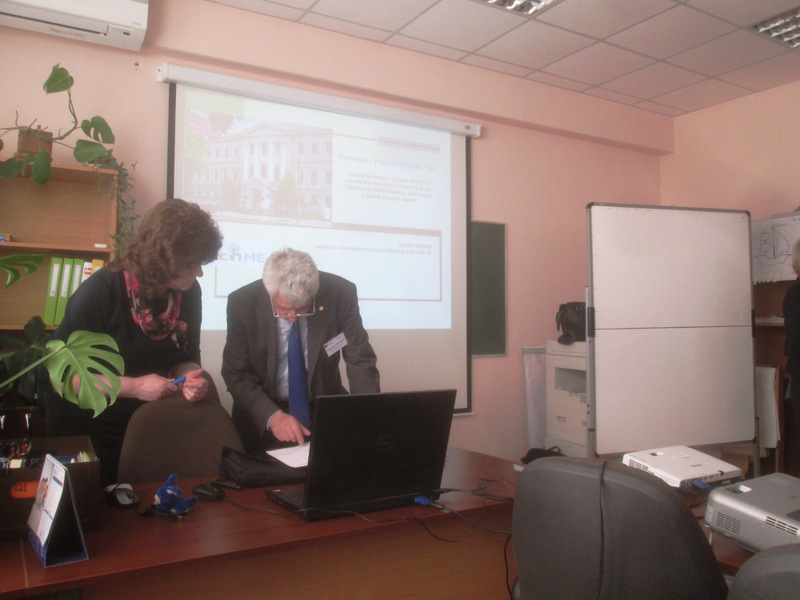 The seminar was completed with a visit to the TUM Center for Continuing Education, the organizer of this event.